Mon., Dec. 12, 2016, 5:06 p.m.
Spokane County officials have saved more than $7 million by refinancing bonds that the county sold in 2009 to pay for its wastewater treatment system. Officials said the refinancing will help contain utility rates. The county took advantage of bond interest rates that were near historic lows before the election of Donald Trump sent them climbing again. The interest rate on the original bonds was 4.049 percent, and the new rate is 2.61 percent, said Bob Wrigley, the county’s chief budget officer. “It worked out really well for us,” Wrigley said, adding that county officials weren’t factoring in Trump’s election when they decided to refinance about three months ago. The county sold about $91 million in bonds for the wastewater system in 2009, Wrigley said. The replacement bonds are scheduled to be paid off in 2029. 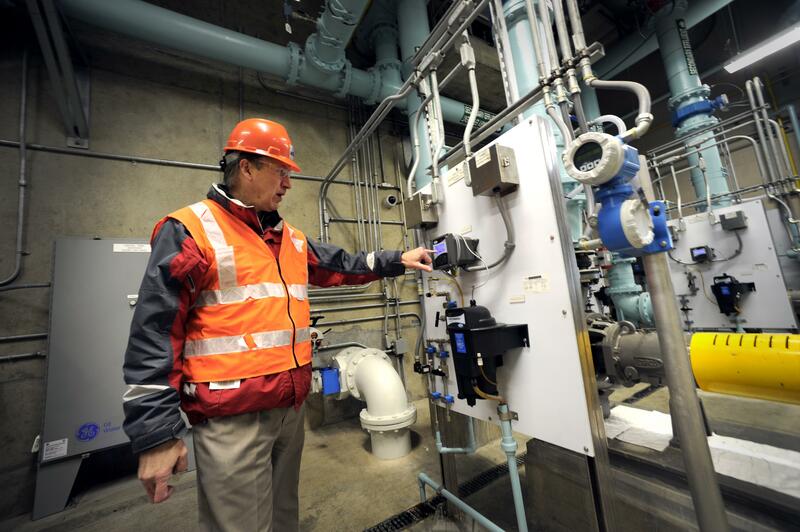 The Spokane County Regional Water Reclamation Facility went online in 2011. It removes excess phosphorus from wastewater in Spokane Valley and unincorporated parts of the county before that water is discharged into the Spokane River. Published: Dec. 12, 2016, 5:06 p.m.